A quick and dirty demo on the capabilities of the WSG. Warning, lot of sounds. 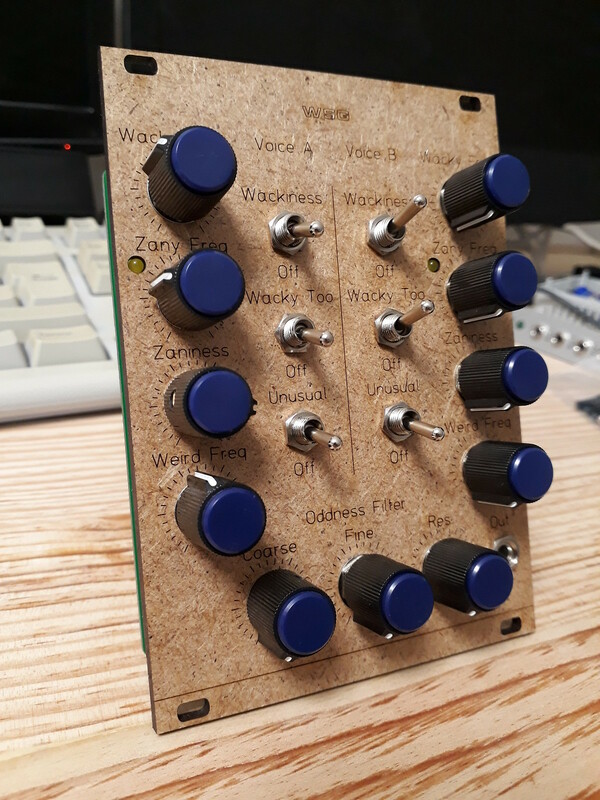 Here comes my next conversion of Ray’s classic analog synthesizer, the Weird Sound Generator! 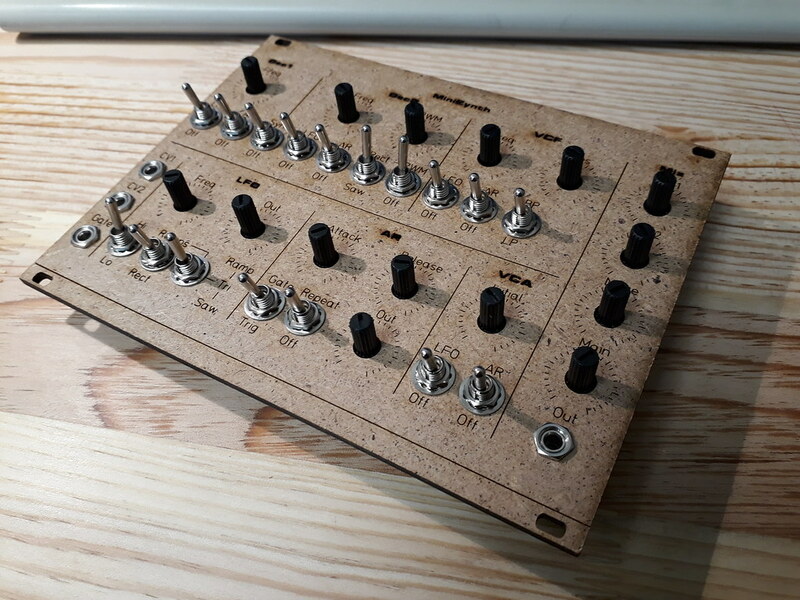 This is the same process as for my previous SMT/Eurorack conversion of the Sound Lab Mini-Synth. 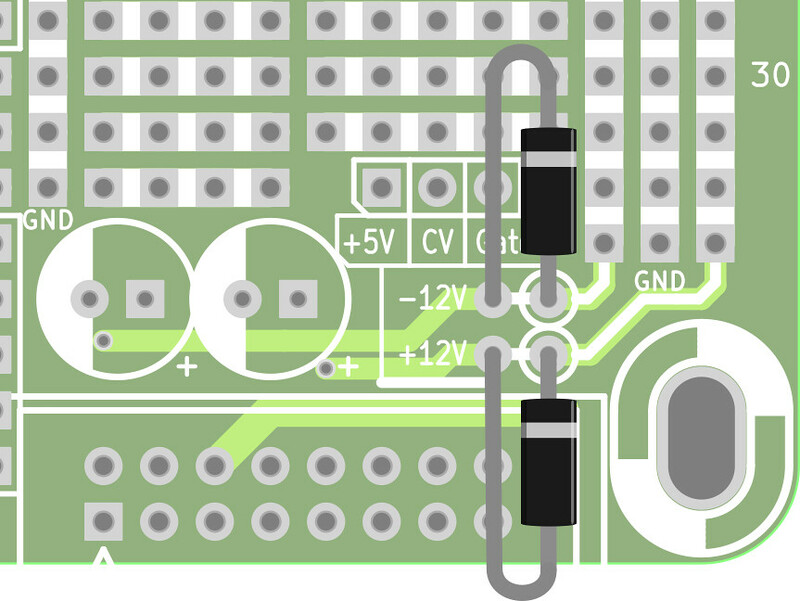 The circuit is identical to the original, including component references. 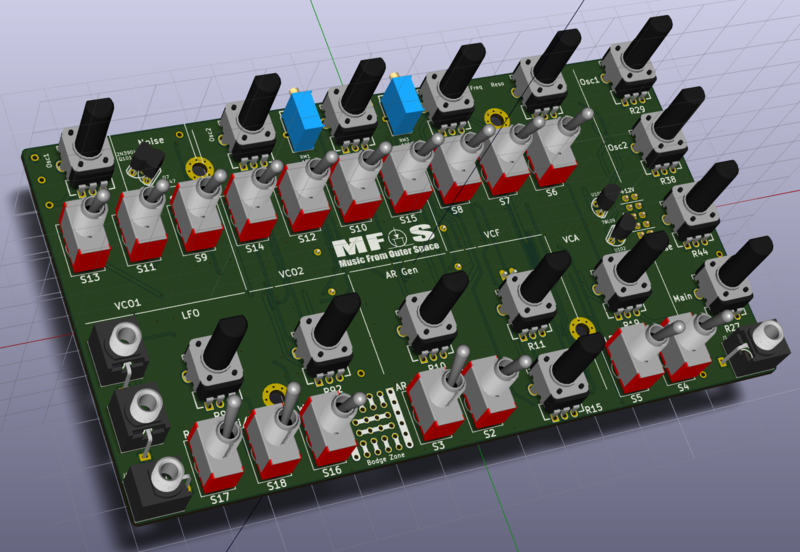 This is an updated version of my SMT conversion of MFOS SoundLab MiniSynth! Eurorack Stripboards have a dedicated zone layed out for Power Supply connection. You will find here some useful informations on how to use it. About the power connector, I personnaly recommend to use boxed IDC Headers (HE10 style). They prevent from reverse and misaligned connections. But you can also use simple pin headers (breakable strips). 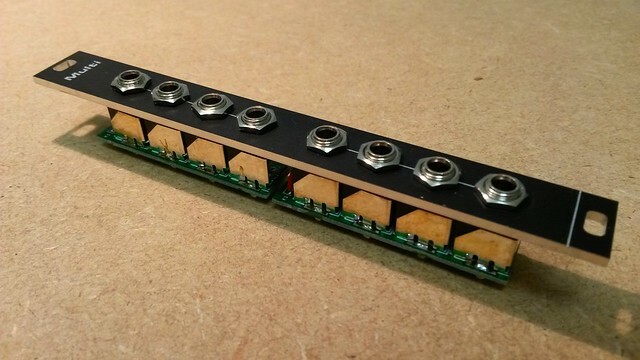 It is customary to use a 10 pin connector if your module only requires -12/+12V rails. When you see a 10 pin connector on a module you immediately understand the module doesn’t require the +5V rail. Simply align pin 1 on pin 1. The capacitors are recommended only on rails where you actually draw current. Especially on modules with switching components (blinking LEDs…) who can create noise on your rails. 1 to 10µF is ok. The voltage rating should not be under 25V. Or you can just skip them and use jumper links instead. The diodes are only for protection purpose. They block reverse voltages in case of bad Power Cable or incorrectly powered Bus. Any 1N400x is ok. Use Schottky Diodes instead if you require lower forward voltage drop. Silicon Diodes such as 1N400x will lower the power rail by, at least, 0.7V: 12 – 0.7 = 11.3V only. Schottky Diodes have a forward voltage drop of roughly 0.4V, giving you 11.6V on your rail. NB, the diodes should have been placed before the capacitors to create an effective LP filter… and help protect the filtering caps too in case of reverse Power supply polarity. So I encourage you to add a capacitor on each rail after the diodes instead of the initial dedicated area. I made some scope measurements to help understand and debug faulty MFOS SLMS in SMT version. 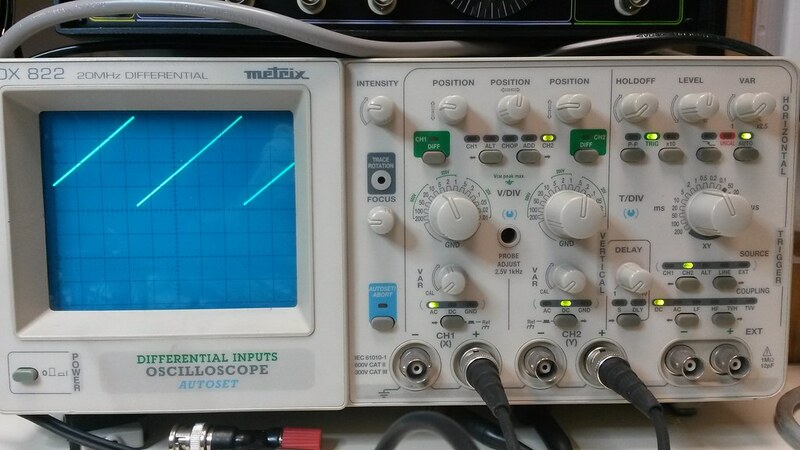 My scope is not very accurate and the tested unit is far from perfect, but at least, it gives a pretty good idea of expected signals on the Test Points. VCO1 Test Point (TP201) shows a Clean Sawtooth, from 0 to 4V. Ray Wilson was the guy behind Music From Outer Space. He was a huge contributor to the Synth DIY scene. He designed a lot of cool projects, offered kits, schematics and a huge amount of tips and tricks for beginners. He even wrote a book on how to build an Analog Synth. 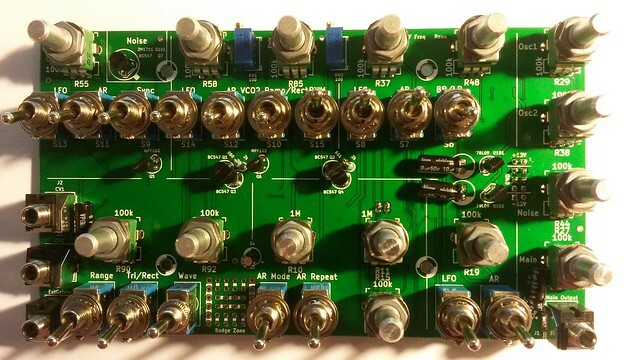 MFOS kits and PCBs are still available through various resellers (see synthcube). Hand soldering Surface Mount Devices (SMD) scares a lot of DIYers and Makers, but it is easier than what it looks like. Even sometimes, it’s easier than soldering Through Hole Components. Really! A quick post about an old design. 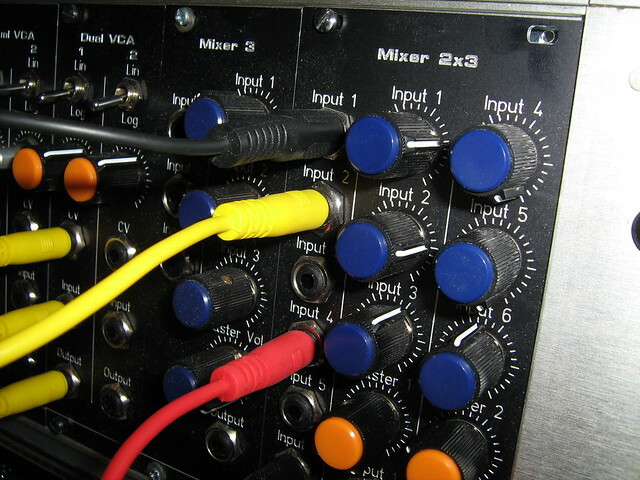 This is a simple 3 mono input mixer. The Passive Multiple is the simplest module you can find in a Modular Synth. But you really need a bunch of them.